How hard is it to know the temperature in your immediate vicinity? Arguably, not that difficult… Thermometers haven’t been cutting edge for four hundred years; and even today, smartphone weather apps are a dime a dozen. At home, your HVAC thermostat handles the job perfectly fine, whether you’ve got an old school version from the ‘50’s or a slick new Nest thermostat. But during the summertime, temperature is only half of the story. Humidity completes the equation, and I’ve got to tell you that humidity has always been my personal kryptonite. I can usually handle the heat, but humidity levels during the dog days of summer make my life utterly miserable. 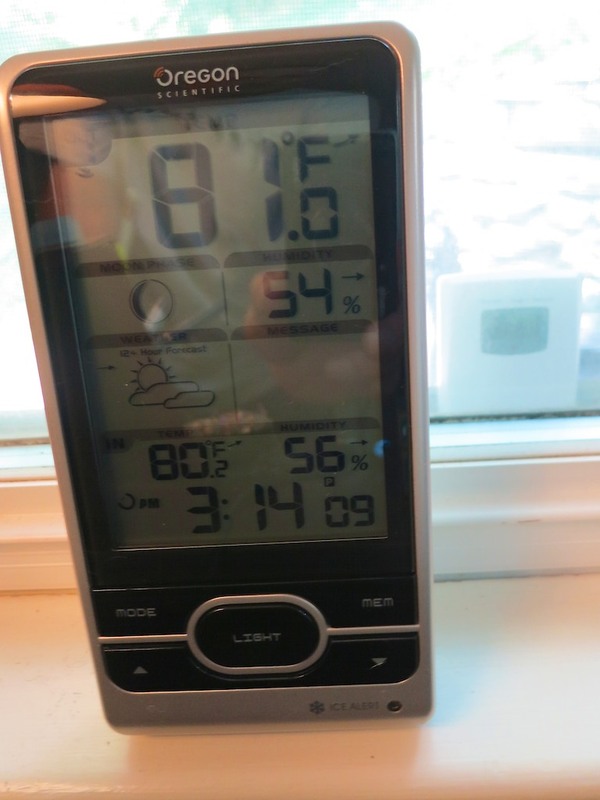 So while at home, I always want it to be less humid inside than on the other side of my open windows. Of course, that’s going to be practically impossible if my windows are open. So at some point, you’ve got to close them and turn on the air conditioning. Yes, this is all about when to turn on the air conditioning…. This may not seem like a problem to some… But for my family, there’s a fine line between letting in the cool summer breezes at night, which will often chill down your bedrooms to create a comfy sleeping zone, and spreading about a more humid cocktail of outdoor air, which will envelop everyone to ensure a restless night. And if you err on the side of caution and always run the AC, you’re going to likely create a cranky family that shivers through the wee hours of some summer nights. And it doesn’t hurt to have a little tech on your side to generate the necessary data. But I’m not talking about the kind of expensive gear that weather enthusiasts use to predict and measure the weather. So it was time to search for a new Lester Weather Station! As I did my online research, I paid special attention to stay away from options that didn’t include both indoor and outdoor humidity levels. Some devices skimped and only evaluated one location. I eventually focused on Oregon Scientific, which offers a wide selection of digital thermometers. Oregon Scientific’s newest line is the Weather@Home series, which has a built-in Bluetooth transmitter. That allows you to create a connection to your smartphone for monitoring your personal weather conditions from your mobile screen. 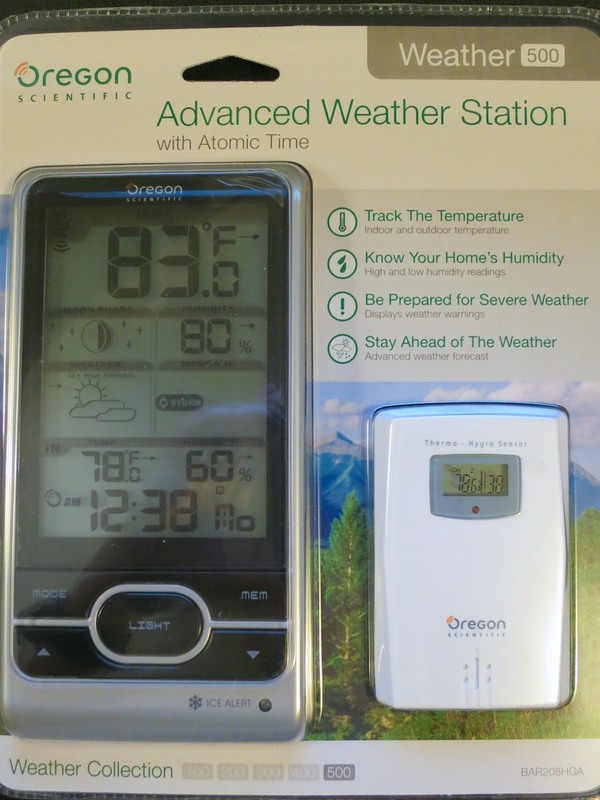 The Oregon Scientific BAR218HG Weather@Home Wireless Weather Station does the job for $42.06 on Amazon. I think this would be a fine choice, but unfortunately, I would never use the Bluetooth functionality. This one employs a nifty color LCD display, which really makes the unit pop. Remember, I just want the four numbers. It doesn’t need to communicate with the International Space Station! That said, you also get 75% accurate weather forecast (they say), moon phase, ice alert and atomic clock displays. 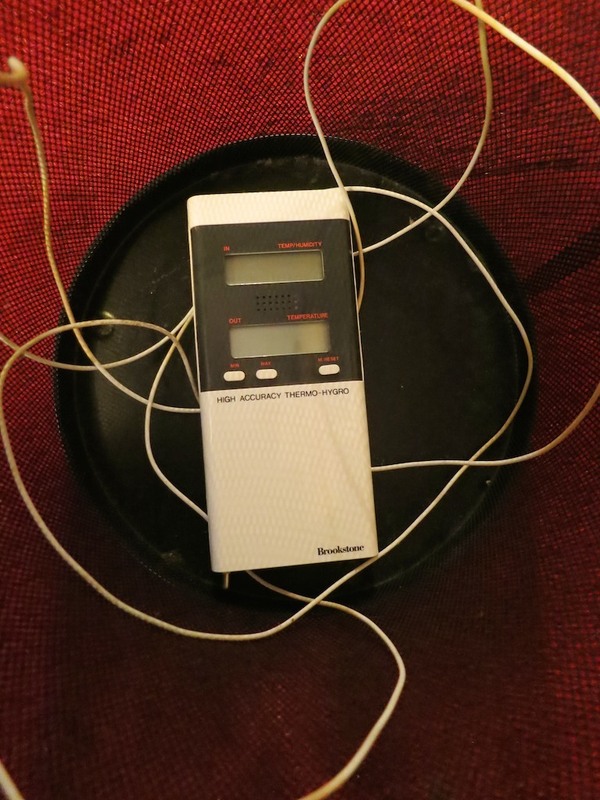 The main unit is powered by three AA batteries and its companion sensor requires two AAA batteries. You can also purchase two additional sensors, if you’re interested in conditions elsewhere around your home. Mankind can’t control the weather yet, but here At Home With Tech, I’m happy to report, I have once again regained control of the temperature and humidity levels in my little kingdom. Psst… It’s my secret to maintaining a happy home during summertime stickiness.